LOMA LINDA, Calif.--(BUSINESS WIRE)--Aug. 15, 2018-- KB Home (NYSE: KBH) today announced the grand opening of Citrus Glen, the builder’s latest enclave of beautiful new homes in Loma Linda. Citrus Glen’s proximity to Interstates 10, 215, and 210 allows for easy commuting to downtown Riverside and throughout San Bernardino and Los Angeles Counties. The community is also just minutes away from Loma Linda Medical Center and Loma Linda University. Nestled among citrus groves and featuring mountain views, KB Home’s Citrus Glen is convenient to a variety of retail, dining and entertainment destinations, including Citrus Plaza and Mountain Grove shopping centers. Nearby Splash Kingdom Waterpark features pools, waterslides, a trampoline park and a sports lounge right next to the San Bernardino County Museum, which offers history lovers the opportunity to explore cultural and scientific exhibits and collections. Less than two miles from Citrus Glen, Brookside Park has walking trails, sports fields, BBQ pits, playgrounds, and outdoor fun for the whole family. School-age children living in Citrus Glen may attend school in the desirable Redlands Unified School District. KB Home will host a grand opening celebration at Citrus Glen on Saturday, August 18, and Sunday, August 19, from 10:00 a.m. to 6:00 p.m., during which attendees may tour the two elegantly-appointed model homes. KB Home will be constructing a total of 95 homes available in seven distinct floor plans, including four one-story floor plans for homebuyers that prefer single-story living. 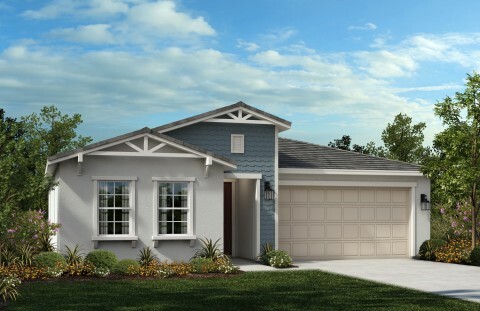 Ranging in size from 1,700 to 2,700 square feet with up to four bedrooms and three baths, the KB homes at Citrus Glen feature desirable characteristics such as elegant master suites, open kitchens, an upstairs bonus room and ample storage. Pricing begins in the $540,000s. The KB homes at Citrus Glen will be built to current ENERGY STAR® guidelines and include WaterSense® labeled faucets and fixtures, meaning they are designed to be more energy- and water-efficient than most typical new and resale homes available in the area. These energy- and water-saving features are estimated to save homebuyers between $1,524 to $1,980 a year in utility costs, depending on the floor plan. The Citrus Glen sales office is located at 26631 Meyer Street in Loma Linda. From I-10, exit onto California Street heading south. Turn left on Redlands Boulevard, then right onto New Jersey Street before making a right on Citrus Avenue. Follow the signs to the sales center. The sales office is open Mondays from 1:00 p.m. to 6:00 p.m., and Tuesdays through Sundays from 10:00 a.m. to 6:00 p.m. For more information about Citrus Glen, or KB Home’s other new home neighborhoods, visit www.kbhome.com or call 888-KB-HOMES.